It may not seem so, but our bankruptcy system is all about balance and fairness. I may not seem fair that creditors may not get paid, but sometimes its necessary to ensure that society doesn't end up supporting less fortunate members who can't get relief from overwhelming debt. Even then, the system strives to be as fair to the creditors as possible. One of the principles on which the bankruptcy system stands is the notion that when we change the rules for a debtor, or alter a prior contract with a creditor, we have to treat all similar creditors the same way. When we don't do that, we set up unfair circumstances to the detriment of the creditors who did not get paid. This principle even relates back to the actions of the parties before the case is filed. When a debtor (the person who files a bankruptcy case) pays some creditors but doesn’t pay other similar creditors shortly before a bankruptcy case is filed, the debtor is said to have made preferential payments to those lucky (or unlucky - see below) creditors. Preferences are frowned upon in a bankruptcy case. Administrative - those debts necessary to the administration of a bankruptcy case, like attorney’s fees or trustee fees. When we talk about similarly situated creditors, we’re talking about creditors with the same kind of debt, like all general unsecured creditors or all priority unsecured creditors. Although we can often choose who, what, when and how much we pay our creditors, notwithstanding any agreements we have with them, the bankruptcy system assumes that we pay all like creditors in a similar way. For instance, we make the minimum payment on our credit cards each month. Under most circumstances, we will not pick which creditors to pay. Each one will be paid at least the contractual minimum. Some may be paid more, some less. So, why would you choose to pay one creditor more than others? You might have a completely legitimate reason to do that. For instance, your Visa card may have a higher interest rate than your Mastercard, so you want to pay it down faster. Or maybe it has a higher balance. But, what if you were strapped for cash and you only had enough to pay some creditors, but not others? If you didn’t pay Visa, but paid Mastercard instead, is that fair to Visa? What if you owed money to your father-in-law and wanted to make sure he got paid before you filed a bankruptcy case? These inequitable payments are called preferences or preferential transfers. What Makes it a Preference? The transfer must be for the benefit of a creditor. The transfer must be used to pay an antecedent debt (a debt that existed before the transfer occurred). The transfer must have been made while the debtor was insolvent. The transfer occurred within 90 days of the filing of the bankruptcy, or one year if the creditor was an insider. The creditor received more than it would have received in a Chapter 7 case had the transfer not been made. So, then, what do we do about it? The bankruptcy code gives the trustee the right to capture the money that was given to creditors preferentially and redistribute it to all similar creditors on a more even, or pro rata, basis. This is called avoiding the preference. Even though he may be entitled to go after every instance in which you seem to have preferred one creditor over another, the trustee is limited in part by the cost of investigation and the steps necessary to gather the money, process claims from other creditors and redistribute the proceeds. Just the time necessary to review every one of your pre-bankruptcy transactions will often be more than any gain to the bankruptcy estate. Therefore, the bankruptcy code requires that a debtor disclose in the bankruptcy schedules payments made in the 90 day period before the bankruptcy, but only if the payment(s) total $600 or more for a single creditor during that period. Even then, the trustee can use her judgment to determine if it would be practical to go after that money. The amount is one factor. Another factor is what is sometimes referred to as the “best interests of creditors” test. A payment is only a preference to the extent that it exceeds what that creditor should have received (assuming this is a Chapter 7 case. Here is an example: Assume that you have $10,000 in nonexempt property. You have eight creditors, each of whom has filed a proper claim with the court. All things being equal, each of those creditors would receive $1,250 in the bankruptcy case. Suppose you paid one creditor $2,000 before the bankruptcy was filed. That creditor would receive $750 more than it was entitled to, and there would be $750 less in the pool for the other creditors to share. The trustee has the right to ask for that $750 back. But is it worth it? The trustee has to weigh the benefit of going after the $750 on behalf of the other creditors. Considering the trustee’s commission is 25% or less on everything that goes through her hands, it would probably not be very efficient to fight hard for that $750. Generally, trustees will only look for preferences made in the 90 days before the case was filed. But that is not hard and fast. It’s easier for trustees to avoid preferences during that period because by statute, the debtor is presumed to be insolvent during period. A presumption is nothing more than an assumption that can be overcome with evidence. 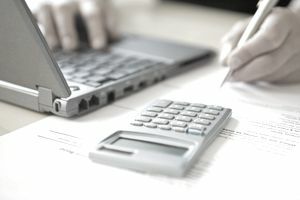 If a creditor can prove that the debtor was solvent when the preference was made, it will be harder for the trustee to prove that the payment was preferential. Likewise, the trustee could attempt to avoid payments made further back than the 90-day look back period if she had evidence that the debtor was insolvent that far back. In fact, the trustee can go back a year if the recipient of the payment was an insider. Insiders include family, friends, business partners, people or entities with a special connection to the debtor. Any payment to an insider has to be disclosed and is subject to review as a preference. Preferences can be in the form of a property transfer as well. Transfer of a car in payment of a debt to your father-in-law is as valid as any cash payment and will be treated the same in any analysis. Technically, even a repossession or foreclosure could be considered a preferential payment. Is Avoiding a Preference Fair to the Recipient? The short answer is yes, the preference is fair to the recipient creditor because the creditor will ultimately receive no more payment than he would have received if the debtor were making payments fairly and under normal circumstances. Let’s pretend the creditor is your dad who loaned you $5,000. You're thinking about filing a bankruptcy case. You want to make sure your dad gets paid before everyone else. So you use the last of your resources to pay him what you owe him. Six months later you visit a bankruptcy attorney. She will ask you to list the payments you’ve made in the previous 90 days and the payments you’ve made to insiders over the previous year. In this case, your dad would clearly qualify as an insider. The payment will have to be disclosed. Let’s say that you have $10,000 in nonexempt assets that the trustee can sell and use to pay creditors. You have ten creditors, each of whom would receive $1000. Clearly, your father received more than he would have received had you not paid him. If the trustee gets back that $5,000 from your father and adds it to the pool of assets that can be distributed, each creditor will then get $1500, including your father. Is it fair? Yes. Does your father have to like it? No. It is a difficult concept for some creditors to fathom, especially those who are not involved in commerce. This doesn’t mean that you are foreclosed from paying your father. Even though the rest of the debt you owe him is legally discharged, there is nothing in the bankruptcy laws that forbid you from paying him after the bankruptcy case is over. The trustee’s avoiding power is used less frequently against secured and priority debt. Secured debt has a special status because of the agreement between the creditor and the borrower that an asset of the borrower can be sold to pay the debt. Were the trustee to avoid a preference paid on a secured debt, the payment would be replaced by other property of the debtor. So, it would be a wash. Priority debt also has a special status because Congress has determined that certain debts for policy reasons should be paid before general unsecured debts. The most common priority debts are alimony, child support, and recent taxes. Any money a trustee collects will go first to paying any priority debts. Therefore, it is not uncommon for the trustee to avoid payments to general unsecured creditors and have that money paid over entirely to retire priority debt. On the other hand, any payments on priority debts that the trustee might avoid would just be returned to the priority creditors. Every rule has has its exceptions and the trustee’s power to avoid preferential transfers is no different. Here are three of the most common. Contemporaneous exchange: When you pay for a purchase you’re making at the same time, there is no preference. Preferences must be for debts that already existed before the transfer transaction. Ordinary Course: When you’re operating in the “ordinary course of business.” For instance, if you have a business, and you ordinarily pay invoices 30 days after inventory is delivered, you are making your payments in the ordinary course of business, and they are not transfers. New Value: If you pay someone for a debt you already owe, but the creditor then gives you new value, the payment was not preferential. An example of new value would be a vendor shipping goods to you after you paid an outstanding bill. If You Declare Bankruptcy, Can You Keep Some Credit Cards?